It's New Year's Eve! Have you ever had the pleasure of ringing in the new year with the mouse? 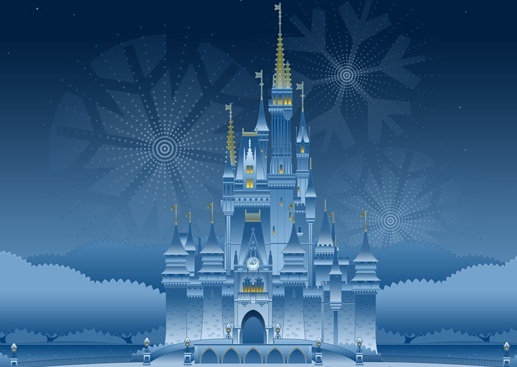 How does Disney plus the magic for New Year's Eve? I have yet to spend any holidays in the parks- if you have, please share a special holiday memory with us, or tell us about a way you've seen or heard that Disney plusses the magic for holidays. As 2012 draws to a close, thank you for helping me get this little magical endeavor off the ground- it's been great hearing your feedback, and it's been lots of fun having a creative outlet for these magical musings. HHmmm...no, I have never had the pleasure of a holiday in the park. Something to look forward to someday! New Years Eve seems like the perfect holiday for that dream. I'd love to hear how Disney does NYE! I have been there for Christmas and New Years. The very merry Christmas parade is excellent! It is the most crowded time of year and takes over 2 hours (for non-Disney guests) to get out of the park on New Years Eve. It is great being there att his magical time of year, especially if you live up north. I have heard that the Haunted Mansion get's a nice Nightmare Before Christmas make-over for Christmas. That is something I'd like to see. KJ first visited WDW in 1977, and has been making her way back as often as possible ever since. Epcot is her favorite place to be! Her main areas of interest include Imagineering, design, dining, and park history. When not reading and writing about the magic, KJ loves plants, mysteries, science fiction, red wine, maps, and globes. Plus the Magic is a personal fan blog, not affiliated with the Walt Disney Company. All opinions are my own. For official Disney information, visit https://disneyworld.disney.go.com. Copyright 2012-2013, PlustheMagic.com. Theme images by i-bob. Powered by Blogger.